Unmounted mint 1989 4f.00 La Brenne. SG2886. Unmounted mint 1989 3f.70 Ch. De Vaux le Vicomte. SG2885. 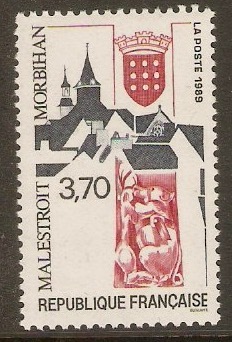 Mounted mint 1989 3f.70 Malestroit. SG2884. 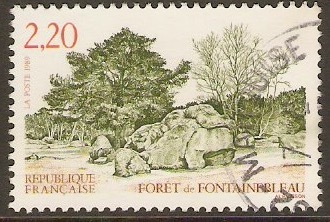 Fine used 1989 2f.20 Fontainebleau forest. SG2883. Fine used 1989 Europa Children's Games set. SG2881-SG2882. 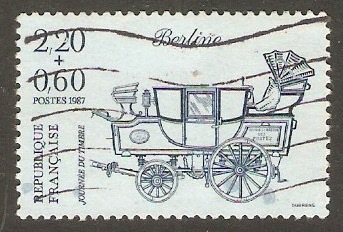 Unmounted mint 1989 Paris Panorama strip. SG2876a. Used 1989 2f.20 +60c Stamp Day. SG2874. 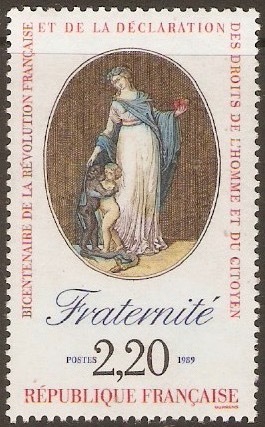 Unmounted mint 1989 2f.20 Revolution series - Fraternity. SG2873. 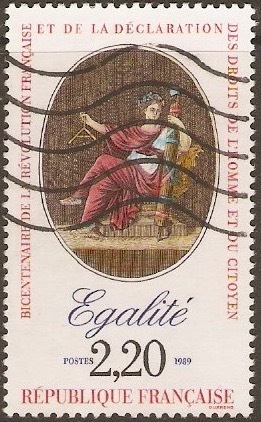 Fine used 1989 2f.20 Revolution series - Equality. SG2872. Unmounted mint 1989 Revolution set. SG2871a. Se-tenant strip with label. 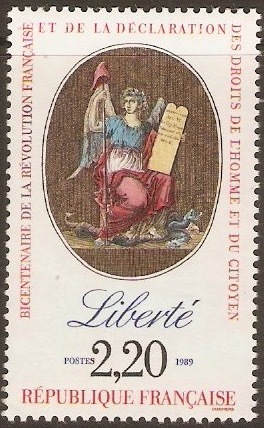 Unmounted mint 1989 2f.20 Revolution series - Liberty. SG2871. 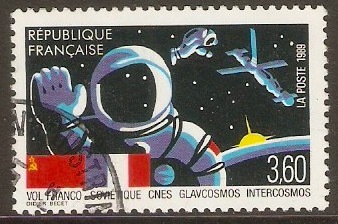 Fine used 1989 3f.60 French Soviet Space Flight. SG2870.